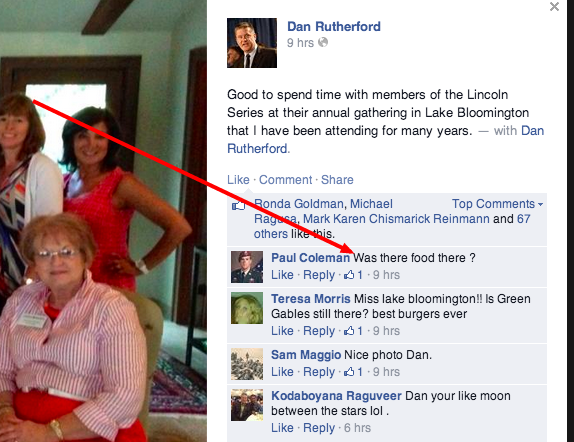 Illinois State Treasurer Dan Rutherford was out visiting with the ladies of the Lincoln Series yesterday and took the time to post a photo on his Facebook Wall. Very nice, right? But...look closer. People want the important questions answered.